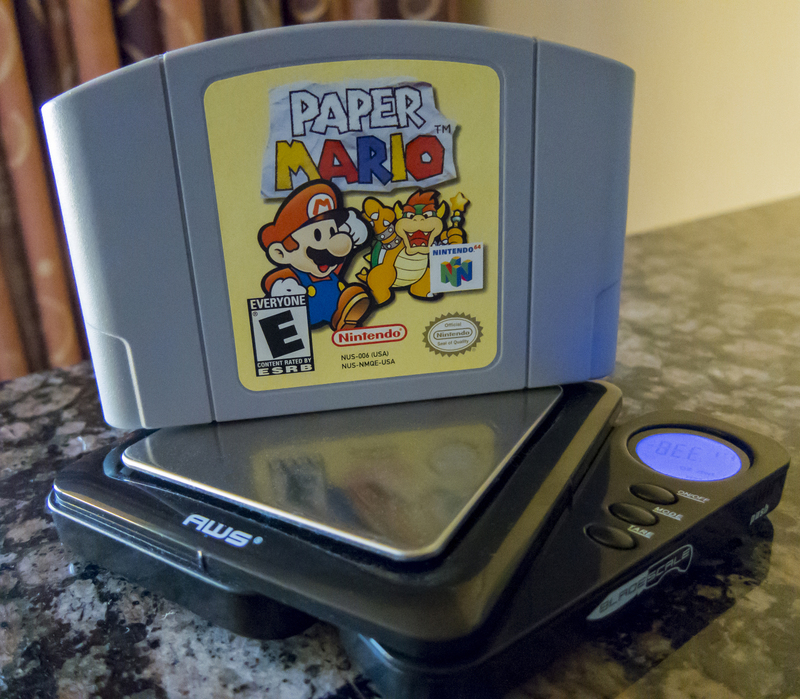 One of our more popular articles here at BiasedVGBlog is our cartridge table of N64 cartridge weights. Yet, when I first put the data together, I had at my disposal a simple letter scale with limited precision, and a whole lot of eyeballing. Unsatisfied with the results, I decided to reopen the case, with a new and improved digital scale! The new scale brings the overall precision of the measurements from ~0.3 oz to ~0.007oz, a hefty improvement. 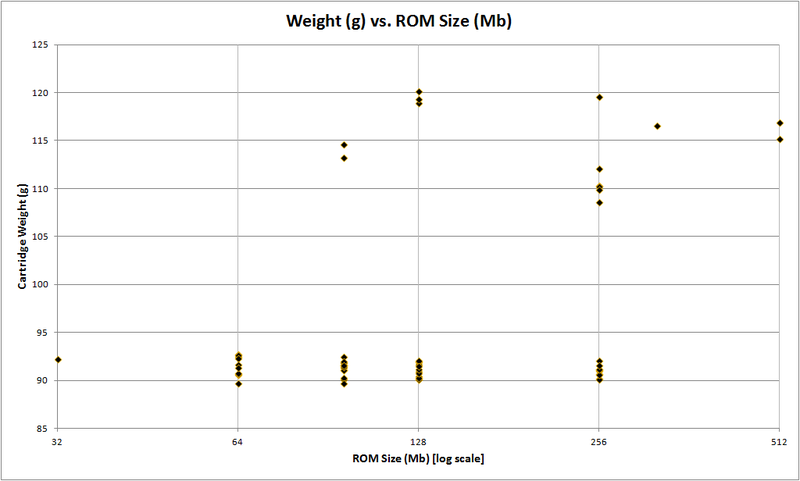 I compared the new and old sets and since I did a great job before, there was only a ~2.8% average difference. 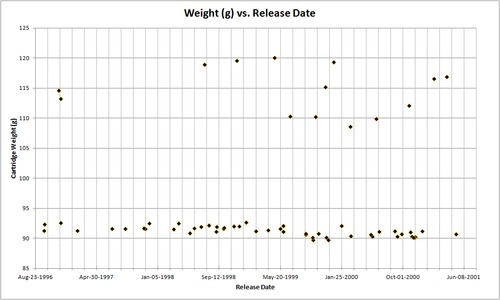 In addition, I have added some interesting comparative charts, fixed some of the naming mistakes, and changed the data columns. Please enjoy below! 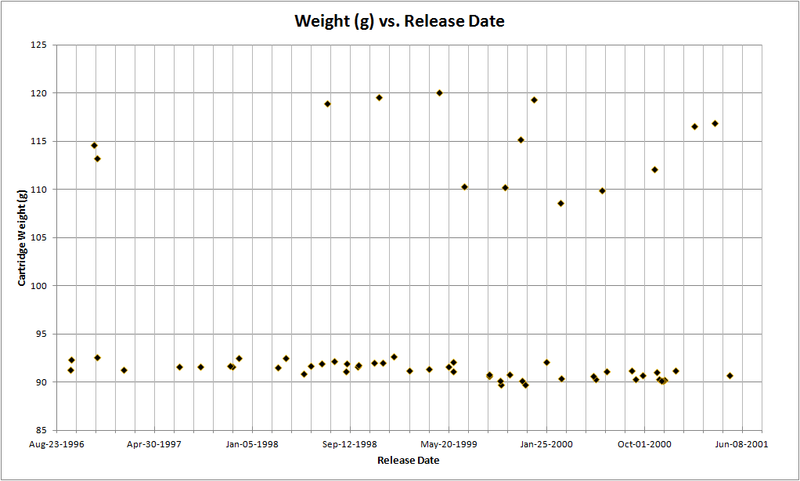 Since I’m a fan of using grams for my measurement scale, and recorded the data in grams, these charts will be in grams. 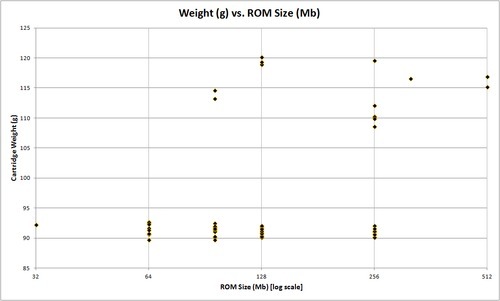 Interestingly, some games such as Super Smash Bros and Harvest Moon were inexplicably heavy despite having relatively tame ROM sizes, and lacking features that would require special chips. Overall, the cartridge's weight do not appear related to their ROM size nor release date.